It’s no secret that the requirements need to secure a low interest credit card have changed dramatically in recent years. What you might have qualified for with a 550 credit score three years ago now would likely require at least a 700 score. Between the new federal laws and of course, the economic difficulties many Americans continue to face, it can be difficult finding suitable credit card offers for less than perfect credit. With the holidays quickly approaching, along with a new school year, we thought it’d be an ideal time to review a few of the better offers that are geared towards those with fair credit ratings. Each of these credit reporting credit cards are designed to help you bring your fair credit rating up to an excellent credit rating. Offered by the Public Savings Bank, the Open Sky Secured Visa has many features that make it a worthy consideration. There’s no credit check, which means you don’t have to worry about the hit on your credit report. Further, if you don’t have a checking account, that’s no problem either. This card reports to all three of the credit bureaus – your on-time payments will have your credit scores improving in no time. There is a $50 annual fee, but you choose your own credit limit based on your deposit (which serves as the security). You’ll enjoy online access no mater where you are. Finally, you’re protected by the Visa name – and all of the securities associated with the credit card giant. This is also an offer that doesn’t require a credit check. If your credit rating has taken a hit in recent months, you know how important that is. There’s also no activation fee or annual fee associated with this AccountNow Prepaid MasterCard. In lieu of the annual fee, you can choose either the Classic or Premium Plans, with either a $4.95 or $9.95 monthly fee, respectively. There are also other perks with this choice. You have twenty four hour access to the online billing site, so you can easily track purchases and payments in real time – a real bonus if you’re considering this for your teen or college student. Also, you’ll be extended the invitation to participate in the credit builder program. Again, this is an ideal solution for those looking to repair their credit scores. Have your paychecks or government payments direct deposited at no additional cost. The “zero” in this credit card offer is the operative word. There are zero application fees, zero APR rates on purchases, zero hassles and zero annual fees. It’s hard to beat that kind of offer. There are also no income requirements associated with this Platinum Zero Secured Visa card. The application process is easy, approval is quick and it too offers a solid way to build or rebuild your credit history at just $9.95 a month. For cash advances, your APR is calculated at 9.99%, making it a competitive choice. This credit card differs slightly from the ones we reviewed above. It’s not a secured credit card, though the credit requirements aren’t necessarily as strict as they would be for a platinum or gold credit card. It’s marketed as a great choice for those who aren’t necessarily interested in any kind of rewards program – and there are many Americans who don’t like the idea of flying and who might not travel in their automobiles often enough to justify a gas rewards credit card. IberiaBank Classic Visa Card holders will enjoy a 6 month 1.99% intro APR for balance transfers. There are also no annual fees and you’ll enjoy access to online account management; again, allowing for real time monitoring of charges and payments. While this is a fine offer for many, you’ll want to closely review the terms and conditions to be sure it’s best for your own needs. 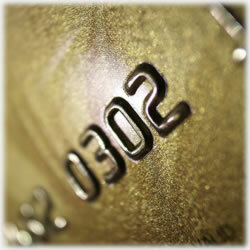 The bottom line is there are many credit building credit card offers. Each has its own unique benefits, which means you’re sure to find the right one. As always, check the terms and conditions of any credit card you’re considering. Nothing worse than having the right credit card become the wrong credit card because of the fine print.